The reigning Basketball Champions League champion will stay in the competition. 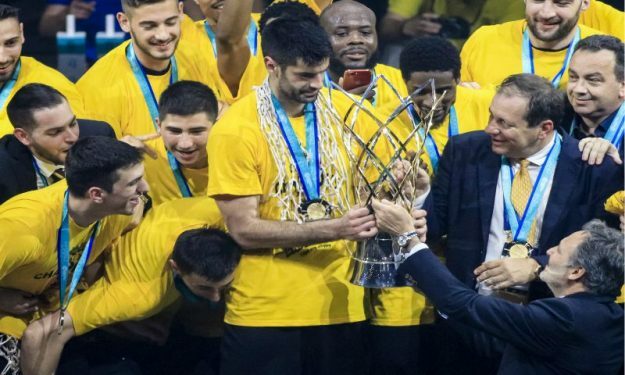 Newly crowned Basketball Champions League champion AEK Athens has declined an invitation by EuroLeague Basketball to compete in the 2018-2019 EuroCup. The invitation was in the form of a preregistration letter that was also sent to many other candidate clubs around Europe. AEK will continue competing in the Basketball Champions League, as the team did in the last two seasons. The position of the Greek club is that there is no reason for the team to switch competitions since they are satisfied with the level of BCL, the organization, and the revenues. In a recent interview, AEK owner and president Makis Aggelopoulos said that he would decline a 10-year guaranteed contract by EuroLeague.